The Path of Faith (Brazil), inspired by the millennial Path of Santiago de Compostela (Spain), was created to give structure to the people who have always made the pilgrimage to the National Shrine of Aparecida, offering them the necessary support and infrastructure. The idea of ​​its creation occurred after one of the organizers traveled twice to the known Spanish path. Imbued with the intention of creating something similar in Brazil, he invited some friends to whom he presented his plans and was supported promptly. Thus, the trio composed by Almiro Grings, Clóvis Tavares de Lima and Iracema Tamashiro and, in the beginning, helped by other volunteer friends, among them, Aparecida de Lourdes Dezena Cabrelon, began the first contacts with city halls and parishes of the cities through which the trail would pass . 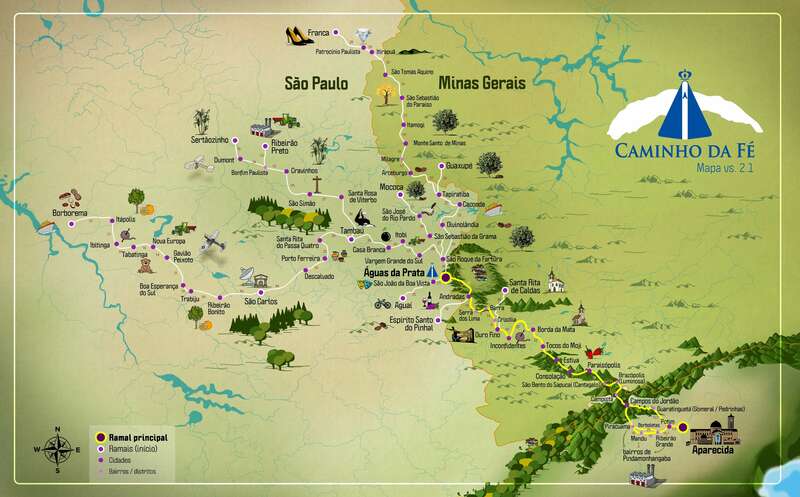 With the help of a map and starting from Águas da Prata, a route was imagined to arrive in Aparecida privileging the most logical route and that would attend the peregrine profile, without political interference. The Path of Faith was inaugurated on February 11, 2003 in the city of Águas da Prata / SP. Its layout can always be altered, aiming to add other cities. 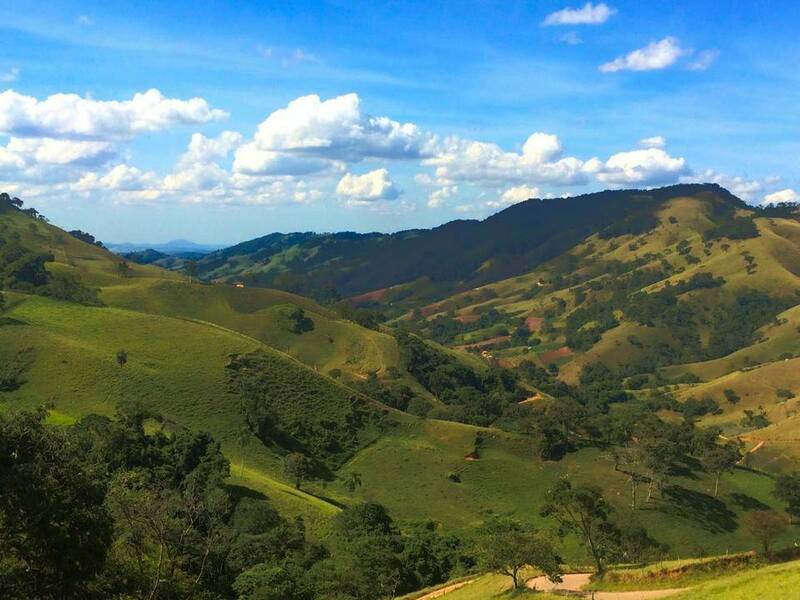 Currently in 2016, the Route is composed of approximately 970 km, of which approximately 500 km cross the Mantiqueira Mountains by dirt road, tracks, woods and asphalt, providing moments of reflection and faith, physical and psychological health and integration of man with the nature. Always following the yellow arrows, the pilgrim reinforces his faith by observing the privileged nature, overcoming the difficulties of the Path, which is the synthesis of life itself. He learns that the little he needs fits in his backpack and strips himself of the superfluous. Exercising the ability to be humble, you will understand the simplicity of inns and meals. At each stop, it you will be contributing to the economic and social development of small cities and fostering the cultural integration of its inhabitants with pilgrims from all regions of Brazil and from different parts of the world. 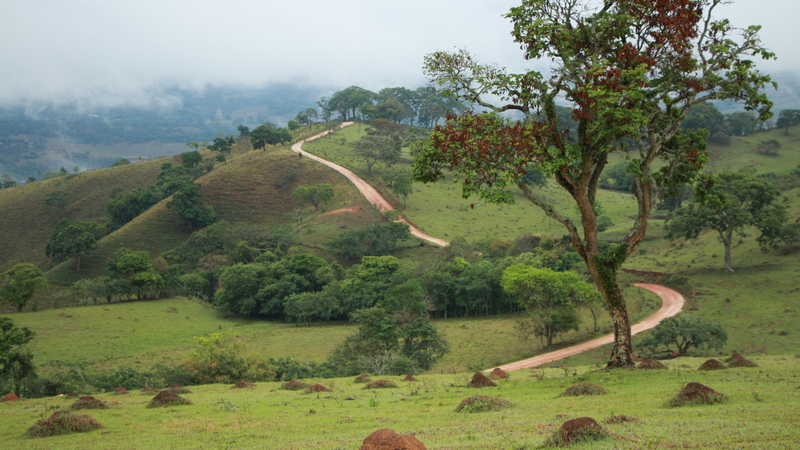 On 08/15/2003, the Association of Friends of the Path of Faith was created based in the city of Aguas da Prata / SP, composed of a Deliberative Council represented by the mayors and an Executive Board that has subsidized the entire operation of the Route.